Good points on the smells/odors. Hadn't thought of that, and I'm very cognizant of offensive odors.
. . . The MD-82 went into a stall and rolled 40 degrees to the left when it struck a light pole near the end of the runway, severing 17 feet (5.2 m) of its left wing . . .
Well, there you go. All it took was a light pole to sever a wing in "real life." Thanks, CTGal for the remembrance, as I'll be using this event now to question others about the 9/11 event. Those wings and nose cones from the mid 80's were just really not very reliable. Glad to see they overhauled the design in order to make them virtually indestructible come time to crash into the Trade Center! Did they ever find the nose cones from Pennsylvania, or the wings in the Pentagon? The ridiculousness of it all. Perfect wings, going perfectly in the wall. Has never happened before or since. Another day another Asian airlines missing flight, it's trending! This time it's Tony Fernandes, owner of premier league football club QPR, who seems to be the psyop orchestrator. "Fernandes, a flamboyant Malaysian-born, British-educated former Warner Music executive..
Seen as the Richard Branson of Southeast Asia, Fernandes seems to have also adopted the Virgin airline owner’s public, larger-than-life persona. Fernandes even once worked as an accountant for Branson’s Virgin company, and the two are now close friends. Last year, Fernandes — who is known to prefer jeans to suits — became the host of Apprentice Asia, a reality game show." QPR's kit anyone? In fact, on hearing the name "QPR" or seeing it in print conjures up Blue and White stripes. And that's from someone who hasn't watched UK footy in 20 years. Nice psyop work guys!! The weeks before 9/11 every year there are more news about plane crashes than usually. This year so far no exception. 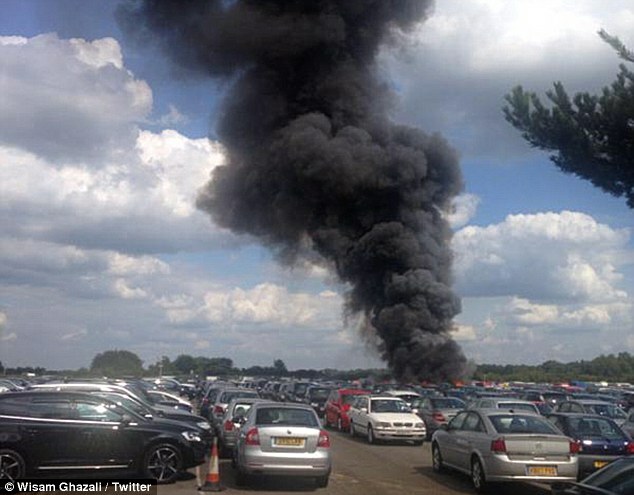 Now apparently relatives of Osama bin Laden have died in a plane crash in England. 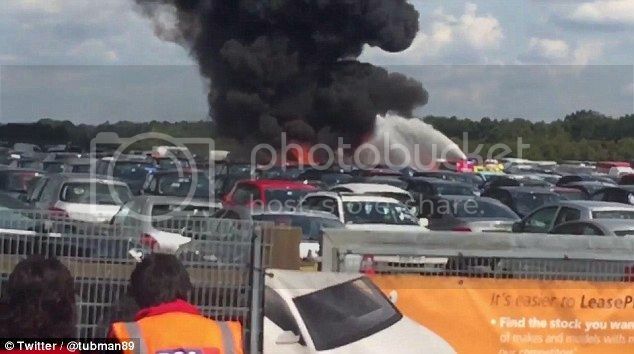 "Osama bin Laden's stepmother, half-sister and brother-in-law are thought to be among four people killed after a private jet owned by the family exploded into a fireball after overshooting a runway while trying to land outside London. Rajaa Hashim, Osama's stepmother, her daughter Sana bin Laden, and Sana's husband Zuhair Hashim, have been named as the victims, according to NBC News. 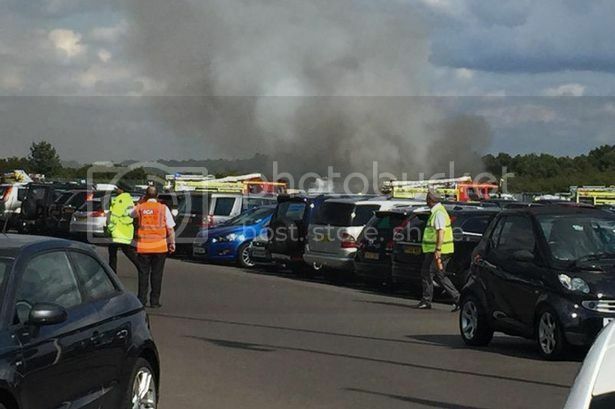 They were killed alongside their Jordanian pilot, who has not yet been identified, when their £7million Embraer Phenom 300 jet overshot the runway at Blackbushe airport yesterday afternoon." Serik wrote: The weeks before 9/11 every year there are more news about plane crashes than usually. This year so far no exception. 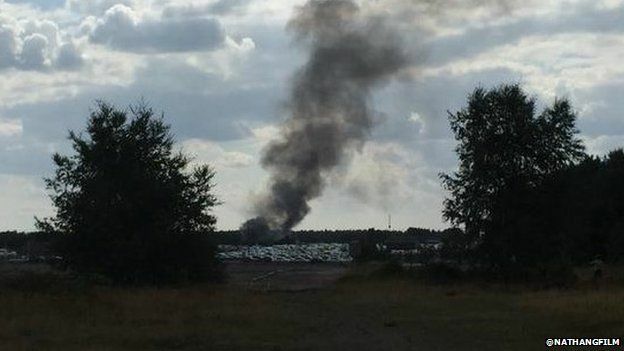 Now apparently relatives of Osama bin Laden have died in a plane crash in England. Feck, lucky they didn't crash into a nearby multi-storey hotel or something! That would have been fun! Tidying up a few tail-ends I imagine. "Killing off" all the actors in the fable. It's true that the subsequent press coverage was a bit weird, however - especially the image of the female victim, and the Bin Laden link. Something doesn't ring true about what we're told. What does Simon think about this? I reckon the Bin Ladens are a real family, but they have certainly added fictional add-ons to their extended family over the years, to run PSYOPs around. 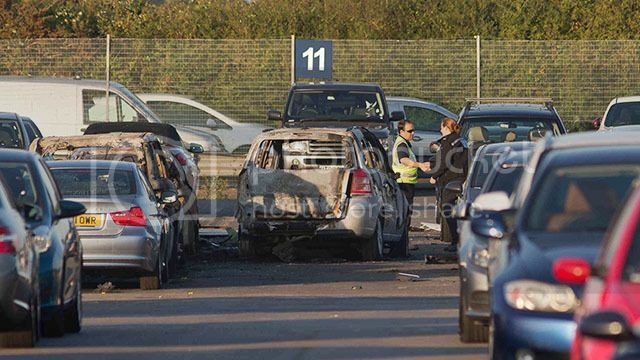 In this case, all I know is that there was a huge explosion at the airport. Admittedly I didn't actually see the plane coming in to land. 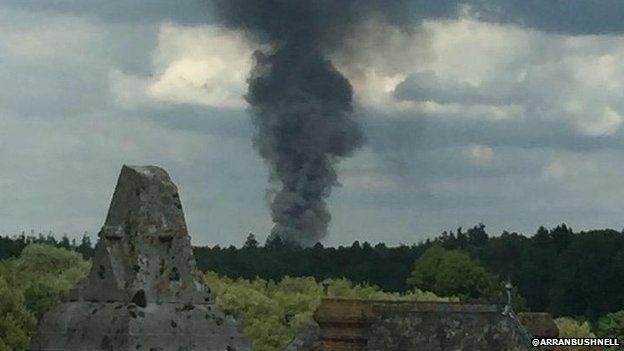 The long plume of black smoke is a true representation of what I saw. That's definitely not a fake image. Not to derail the thread - but excuse me? Which is it? "A few loud explosions"? Or a "huge explosion"? Perhaps you could email the Daily Fail and ask for an original copy! "He added: "It sounded like a missile coming in - very loud, followed by several explosions." A really in-depth piece of video reportage. NOT! 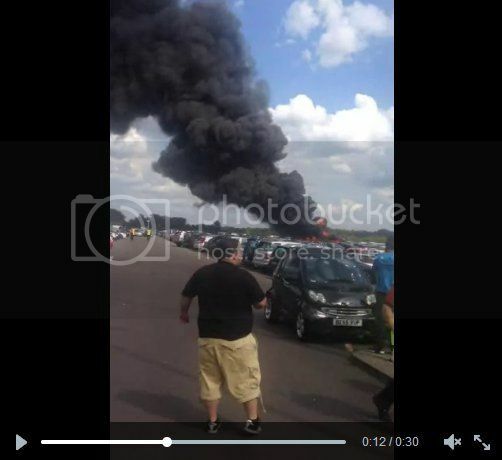 Looks like they were burning all their old tyres/tires "Cars on flames"! Last edited by brianv on Sat Aug 01, 2015 8:19 pm, edited 1 time in total. The company had head offices at the Frimley Bridges site, but later moved to purpose-built premises at Blackbushe Airport, Yateley to accommodate the now closed aviation division, which it still occupies. Employing 160 at its head office, Wickins built the company into the largest car auction business in the world before retiring in 1990. A near-scratch golfer, through this and his long association with the Conservative Party, Wickins met and befriended Denis Thatcher. Wickins later agreed to sponsor Mark Thatcher's motor racing activities in the 1980s through BCA. Denis later served on one of Wickins companies boards, while Mark served as chairman of Lotus Cars and later BCA in North America, which Wickins had led from near-bankruptcy to survival. This is getting interesting! Truly a murder of terrorists : The Thatchers, the Bin Ladens, the Tories. BBC report on the crashed plane. Includes an implasible picture of the jet, allegedly taken seconds prior to impact. No image blur or real movement perceptable. Lots of noisy pixels near the tail, and the ELA is interesting. 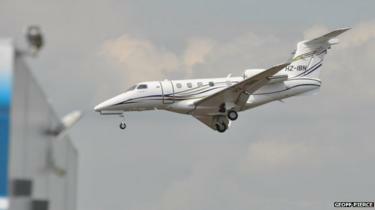 The 'HZ' tail number is clear enough to indicate a Saudi-registered aircraft, but the rest of the callsign is unclear. Crucially, though, surely an 'overshoot' in landing terminology is a flat-with-ground unwanted contact with the ground, when the landing has been too long for the available runway? This looks like a B-movie dive. What does Simon think about this? Nothing much, Euphoria - nothing much. 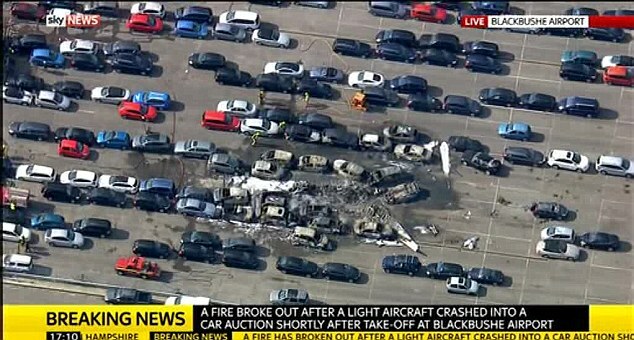 Come to think of it... Binladen family members crashing just off "Blackbushe" aviation airport? Brilliant. Simply brilliant. Disaster scene? Disastrous. Worse than the Shanksville "planecrash" farce of yore. Or do you reckon a plane crashed here, dear Eupho? Does this scenery remotely resemble the one above? Best of all - I'm glad you heard and witnessed it all, Euphoria. We are awaiting your detailed reports. Was it "one huge" - or "a few loud" explosions now again? Brian already asked you this question - so since you ask me what I think of it - I think you should answer this question for us - that would be jolly nice of you. "...and I heard a few loud explosions followed by the plume of smoke." "In this case, all I know is that there was a huge explosion at the airport." There's another discrepancy in these photos. In the first set of photos below, the cars are parked like in a normal parking lot. But in these photos taken from above, the cars are in totally different orientations. They're now organized in long rows, front to back, with their sides facing the open aisles and not their ends. I was going to post this next photo just for the laugh, with the 11 clear and central. But notice the license plate to the left. It says TOWR. That's either very ingenious or very sad. I think it does reveal that this is all one big joke. How can it be said that these events are real when stuff like this shows up 'randomly'? It would depend on which aspect the photograph was taken as, from the other side of the car park, maybe you wouldn't see the cars parked facing the other direction. 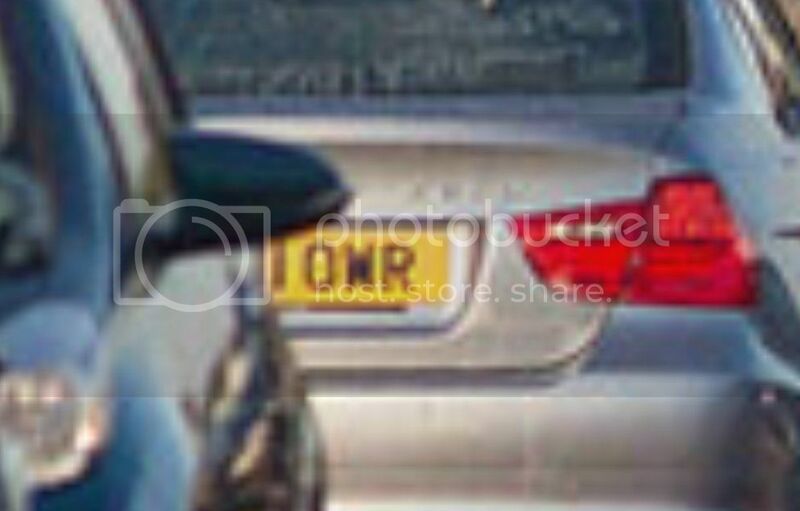 With regards to the number plate of the car, it may well end in 'OWR' rather than 'TOWR' as the 'character' preceding it most likely be a number. The UK car registration layout is 'LL NN LLL' [L being Letter and N being Number]. 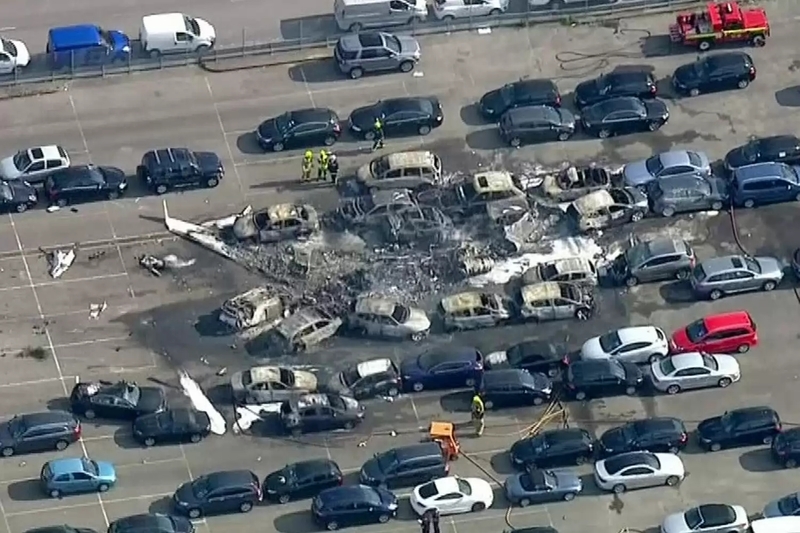 The one noticeable thing about the 'aerial view' is the fact that the cars aren't properly parked in their marked bays [and I don't mean the ones 'hit' by the plane] which could indicate it wasn't a public car park and so had restricted access. Yes, I'd agree the T is 'supposed' to be a 1. In my opinion I'd say it's still created to appear like TOWR. It's certainly uncanny as hell. If you zoom in on it, the 1 seems taller than the other letters, and it continues all the way up to the mirror of the car in front, suggesting that it's not natural. Though maybe it's an illusion caused by the shadow of the mirror? The 1 even appears thicker than expected. Here's a rough experiment I tried. My intent is to try and see what the length of the license plate is, and thus how many letters could fit on it, to try and expose any alterations made to the lettering on the plate. This seems to show that there simply isn't space to place the rest of the letters/numbers one would expect to be on the plate, for the IWOR takes up more than half of the available space. Compare it to the plates below where the lettering seems smaller, less bolded (impossible to judge because it's not as focused?) and runs closer to the edge of the plate. It still seems the IWOR is manufactured. It could be a vanity plate, but what are the chances of all that?